60%, depending on the class of the building and the apartment exclusiveness. It is important that not only special targeted bonds (for real estate), but they are also secured. In case of the Developer’s failure to fulfill the obligation to repay bonds (handover the apartments), the Buyer is entitled to receive the amount of the bond from the insurance company. This significantly reduces the risks involved in investing in real estate. The construction of ROYAL TOWER is being carried out under License No. AE 180302 issued by the State Architectural and Construction Inspection for construction, dated 9 November 2012, and Construction Permit No. KV 12412512168 dated July 3, 2015. 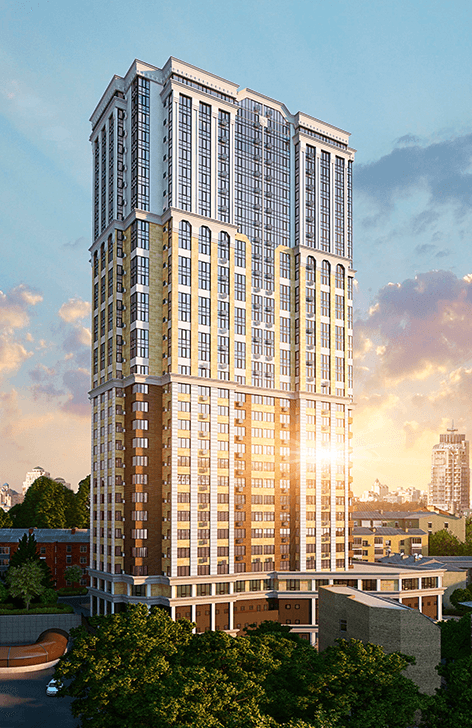 The piece of land where ROYAL TOWER is being constructed, is titled in the name of the Company-Developer.